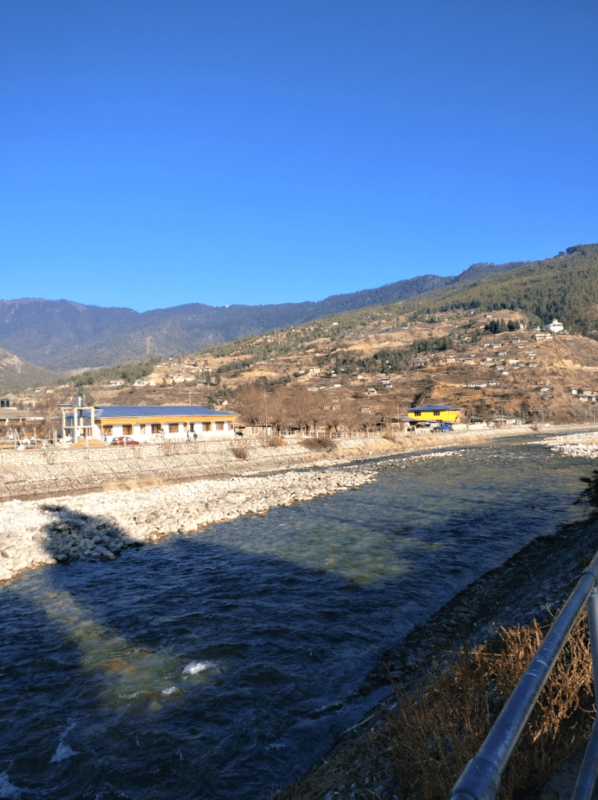 Paro was the last destination on our tourist circuit after Thimphu and Punakha, before we head out to the remote Haa Valley that sees almost zero tourism. While there are countless monasteries in Paro including the very famous Tiger’s Nest, we decided to not go hopping from this dzong or that lhakhang to the other, but instead walk aimlessly and try and find little nooks and crannies of the valley that often go unnoticed by the tourist’s eye. We had 16 days in Bhutan, after all, and did not want to spend them just ticking things off the list. We did visit the bustling tourist spot of Tiger’s Nest, but decided to put an end at that and take it slow from thereon. And we weren’t disappointed! There’s so much beauty in Paro that often skips the eyes of those mapping their to-do-lists and focusing on ‘things to do’ instead of living in the moment. So before I hop on to give you all the details of this mesmerizing valley, my advice to you is to take it slow and see beauty in places where other people might miss. Paro is the only airport in all of Bhutan so for those wishing to take a direct flight to Bhutan, this is the city you will find yourself in. We were travelling to Paro from Punakha and there are no direct buses that tread this route. The only way we could have reached directly was to take a taxi and burn a hole in our pockets. No, thank you. So instead we hopped on to an early morning bus to Thimphu and from there we boarded another bus going to Paro. The entire journey took about 7 hours to complete but saved us from having to spend some big bucks! 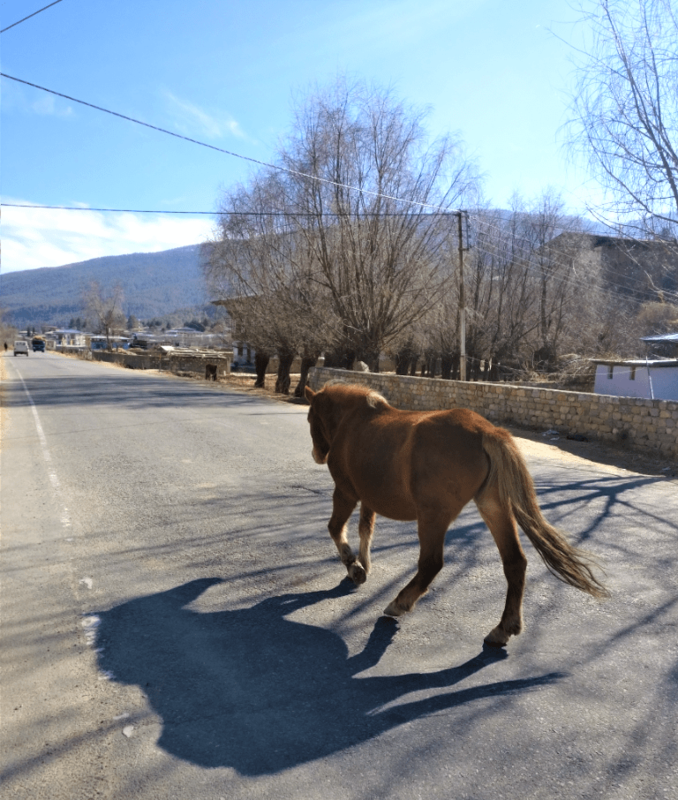 Unlike Thimphu, there is no dearth of homestays in Paro. Although you will not find any cheap homestays in the city, once you start walking on the main highway towards other smaller villages, you will notice the homestay culture slowly increasing with each step. Most of the homestays are located in the Dopshari or Satsam villages, but we stumbled upon Gensa Homestay in Jagathang village- the only one in the area- and decided to go for it. 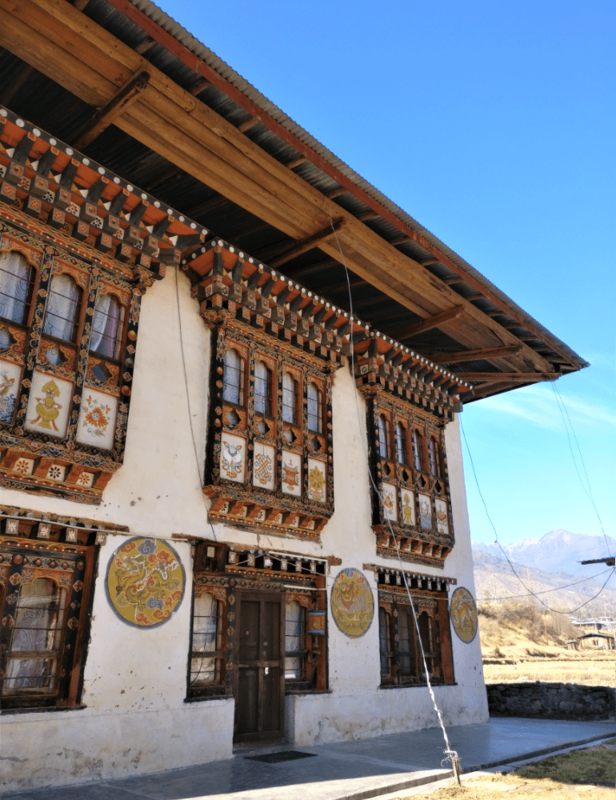 It is a beautiful rustic Bhutanese building located right on the highway about 6.5 kilometers from Paro town. This small village cannot be found even on Google Maps and is located right by the Paro Chhu River on one side and beautiful hills covered with paddy fields on the other. Run by Sonam, a young lad who did his graduation from India, this homestay in Paro was just 3 months old when we visited in December 2018. With common toilets, traditional Bhutanese bedrooms and a common room with a bukhari, I felt right at home the moment I stepped in! Starting with the most obvious one first, this is one place that is often the entire reason for people to visit Bhutan in the first place! And it comes as no surprise then that it is often so crowded and sees a humongous number tourists day after day. After all, a monastery located on top of a cliff, built with such unbelievable magnificence, is a hard pass! 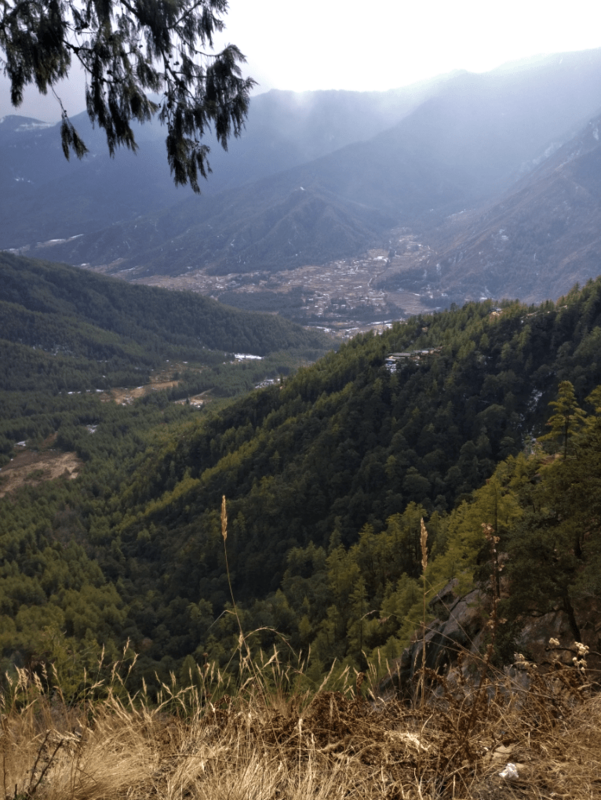 The hike to Tiger’s Nest starts from the outskirts of Paro, and takes about 2 to 3 hours to reach the top. Although the climb is not very long, it is quite steep in some parts, making it a bit strenuous. But if you are an avid trekker, this hike shouldn’t be anything less than a cakewalk for you. The ticket to the monastery is 500 Nu per person and the only restroom there is the one at the very beginning of the trek, so make sure you go before you hit that climb! Pro tip: Most tourist spots in Bhutan offer a 50% discount on entry tickets with a valid college/ school ID card. Don’t forget to carry yours! There are walking sticks available on rent for 30 Nu that you can return after completing the hike. Mules are also available to carry you till the half point, but I strongly suggest you do not choose this option. One, because the way till the mid point is quite doable, and two because these poor animals deserve to roam freely without having horribly massive weights forcefully put on their backs. While the monastery is itself tremendously beautiful and the views of the valley are nothing short of spectacular, what I saw during the climb really disappointed me. I saw flocks of Indian families wearing the most absurd clothing absolutely unfit for any sort of physical activity. I saw women wearing heels and little girls struggling to climb with their long skirts brushing the ground. The men in their tight denims weren’t at their most comfortable either but had to bear the weight of their ladies’ heavy shoulder purses that became an obstacle in the climbing. The saddest part was when people as young as 30 had to turn back midway because of improper clothing while at the same time I saw couples well past their sixties in proper shoes and comfortable clothing making it to the very top! It is important that we do not underestimate the power of dressing appropriately for any trek or hike- however short and simple it may be. What’s the point of it, after all, if your Instagram is full of pretty clothes while you could not actually see what you went to. And then, of course, there were people munching on chips and drinking water out of plastic bottles and conveniently tossing them over their shoulders. Seriously though, WHEN WILL WE LEARN? A branch of the Indian Border Roads Organization (our beloved BRO) called DANTAK are credited for the making of the smooth roads running through the entirety of Bhutan. And the highest of these motorable roads is the Chele La Pass connecting Paro and Haa Valleys, located at a whooping 3,988 meters above seal level! With snow covered meadows and a jungle of fluttering white prayer flags, this is a sight straight out of your most fantastical dreams! On a clear day you can also see the entire range of high mountains in the far distance softly glistening under the sunlight. Despite being -4 degrees on a bright sunny morning, this was easily one of the best places I visited during my entire 16 days journey through Bhutan. The kind of peace and serenity I found here was absolutely unparalleled. If you haven’t planned to go till Haa during your visit to Bhutan, I strongly urge you to take a taxi from Paro town to come and visit this spectacle. You will not be disappointed, I promise. At multiple points throughout the valley, you will come across easy access to the beautiful Paro Chhu River and you must not miss the chance! Whenever you can just walk down to the embankments that have been built by the river and just let your feet take you as far as these embankments go. The soft gurgling of the water and the rustling of the leaves in the crisp mountain air is something none of us should ever take for granted. 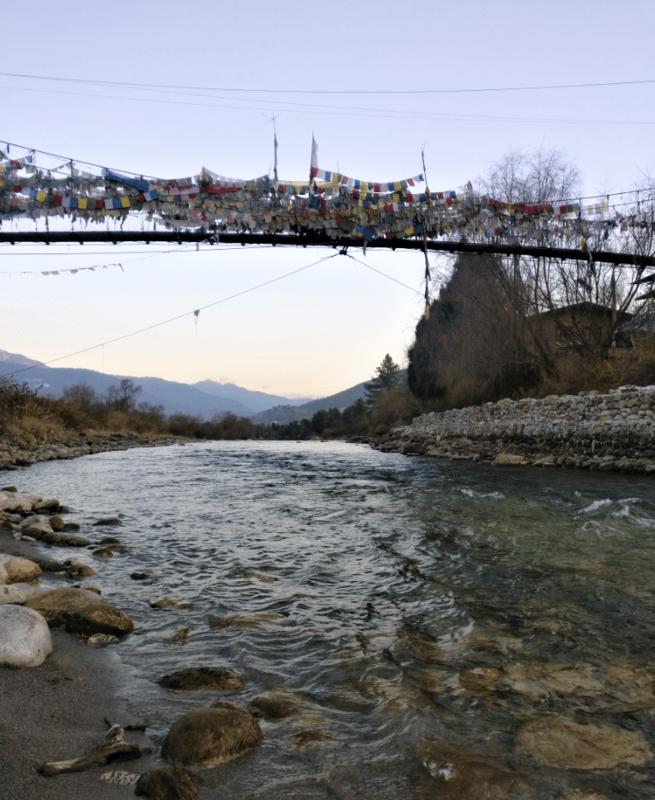 Yes, the Punakha Suspension Bridge is a work of art and is a great place to just stand and stare into open space but the truth is every nook of Bhutan is blessed with one rickety old bridge or the other, each laden with a beautiful colourful mess of prayer flags. Try walking through one of these and just pause midway. Feel the slight sway of the bridge as other people walk by and look at the flags fluttering in the wind trying to escape. I promise you these are not things that sound nice just in poetry. These are the truest joys of life. And that was exactly Paro was- absolute, pure joy. We love transparency! 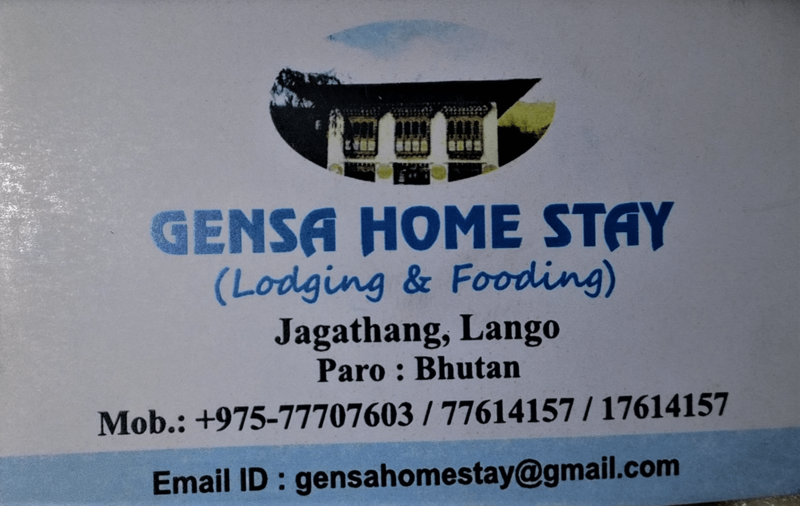 My stay in Paro was sponsored by Gensa Homestay but I assure you, all the praises I sing about them are absolutely genuine. If you wish to book your stay with them, contact Mr. Sonam Letho at +975 77707603.